“Book Review: The Real and the Complex,” Notices of the American Mathematical Society, vol. 64, no. 11, December 2017. “Mathematics Around 1800,” in Olaf Breidbach and Roswitha Burwick, eds., The Transformation of Science in Germany at the Beginning of the Nineteenth Century: Physics, Mathematics, Poetry, and Philosophy. Lewiston, NY: Edwin Mellen Press, 2013. “Mathematik um 1800” [Mathematics around 1800], in Olaf Breidbach and Roswitha Burwick, eds., Physik um 1800 – Kunst, Wissenschaft oder Philosophie? Munich, Germany: Wilhelm Fink Verlag, 2012.
Review of The Great Mathematicians: Unraveling the Mysteries of the Universe by Raymond Flood and Robin Wilson, in Bulletin of the British Society for the History of Mathematics, vol. 27, issue 2 (April 2012). “Why Proof? A Historian’s Perspective,” in Gila Hanna and Michael de Villiers, eds., Proof and Proving in Mathematics Education. New York, NY: Springer, 2012. “Mathematics in Oceania, Australia, and New Zealand,” in Sarah J. Greenwald and Jill E. Thomley, eds., Encyclopedia of Mathematics in Society. Hackensack, NJ: Salem Press, 2011. “Reasoning and Proof in Society,” in Sarah J. Greenwald and Jill E. Thomley, eds., Encyclopedia of Mathematics in Society. Hackensack, NJ: Salem Press, 2011. “How to Teach Your Own Liberal Arts Mathematics Course,” Journal of Humanistic Mathematics, vol. 1, no. 1 (January 2011). A Historian Looks Back: The Calculus as Algebra and Selected Writings. Washington DC: Mathematical Association of America, 2010. “Why Did Lagrange ‘Prove’ the Parallel Postulate?” [reprinted from American Mathematical Monthly] in Mircea Pitici, ed., Best Writing in Mathematics: 2010. Princeton, NJ: Princeton University Press, 2010. “Mathematics, Philosophy and the ‘Real World’,” 36-lecture course on DVD. Chantilly, VA: The Teaching Company. Released June 23, 2009. “It’s All for the Best: Optimization in the History of Science,” invited talk at the Claremont Center for the Mathematical Sciences Colloquium, Claremont McKenna College, Claremont, CA, September 2013. “Lagrange, Symmetry, and Space,” invited lectures, Concordia University Civilization Program, Irvine, CA, November 12, 2012 and April 15, 2013. “Effective Strategies for Teaching Classes for Non-Majors,” paper presented at the Mathematical Association of America National Summer Meeting, Madison, WI, August 2012. “Lagrange, Symmetry, and Space,” invited talk to the Mathematics Club, California State University Los Angeles, Los Angeles, CA, May 30, 2012. “Optimization in the History of Science,” invited address at the Southern California–Nevada Section of the Mathematical Association of America, California State University Fullerton, Fullerton, CA, April 14, 2012. “It’s All for the Best: Optimization in the History of Science and Mathematics,” Nathan A. Court Endowed keynote Lecture at the Oklahoma–Arkansas Section of the Mathematical Association of America, Henderson State University, Arkadelphia, AR, March 31, 2012. “Mathematics: What Are We Talking about, What Makes Us Think It’s True, and Why Should Humanistic People Care?”, talk at the Rotary Club of Claremont, Claremont, CA, March 25, 2011. Hilbert and Hilbert’s Problems, original video aired at the Who Wants To Be A Mathematician national math championship, Joint Meetings of the American Mathematical Society and the Mathematical Association of America, Baltimore, MD, January 2014. Profiled in “Beauty in Numbers: Mathematics Historian Judith Victor Grabiner, SB’60 teaches math to the liberal arts masses,” University of Chicago Magazine, March-April 2014. Professor Grabiner was quoted in “What Is the Answer to That Stupid Math Problem on Facebook? And Why are People So Riled up about It?” by Slate, March 12, 2013. Awarded the 2014 Beckenbach Book Prize for A Historian Looks Back: The Calculus as Algebra and Selected Writings (MAA Spectrum, 2010). The Beckenbach prize recognizes the author of a distinguished, innovative book published by the Mathematical Association of America. January 2014. Named Fellow of the American Mathematical Society, awarded to individuals who have made outstanding contributions to the creation, exposition, advancement, communication and utilization of mathematics, 2012. Selected as an inaugural member of the 2012 Fellows of the American Mathematical Society. Recipient, Lester R. Ford Award for best article in the American Mathematical Monthly, awarded August 2010 for “Why Did Lagrange ‘Prove’ the Parallel Postulate?” This is Professor Grabiner’s fourth Lester Ford award, more than any other mathematician has won. 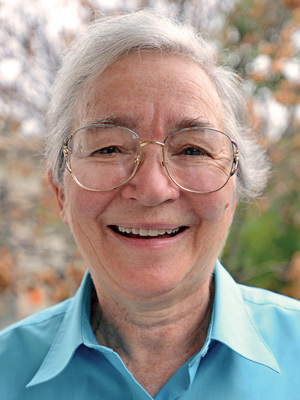 Judith V. Grabiner, the Flora Sanborn Pitzer Professor of Mathematics Emerita, has an essay review, “The Real and the Complex: A History of Analysis in the 19th Century,” in the November, 2017 issue of the Notices of the American Mathematical Society. The Notices, the magazine of record of the American Mathematical Society, is the world’s most widely read magazine aimed at professional mathematicians.